We regularly offer a summer archaeological field school in Starkville, Mississippi. 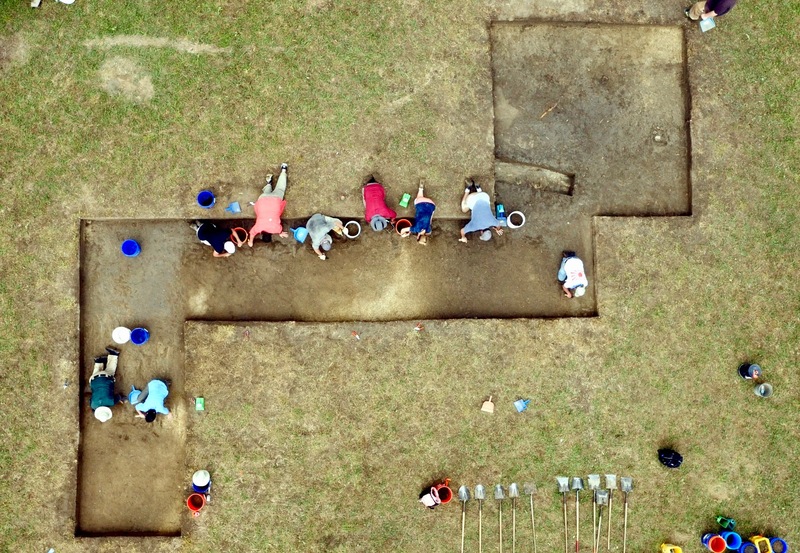 University of Mississippi students excavating an archaeological site. Students in this course will be working on excavations at an archaeological site that dates to the mid-1500s or early 1600s, the time of initial contact between Native Americans and Europeans in eastern North America. Students will learn techniques of archaeological fieldwork that include excavation, recording of context, mapping, photography, and basic artifact classification. Also, students will have the opportunity to work alongside archaeologists and other students from across the Southeast as we will be collaborating with individuals from the University of Florida and the Chickasaw Nation of Oklahoma. Students earn 6 hours of Anth 335 (methods course credit). Students interested in learning how to do archaeology; students interested in archaeology as a career; students needing 6 hours methods credit in anthropology; students interested in Native American studies. The program will run May 29 through June 26, during Summer I session. Students will need to transport themselves to Starkville on May 28. The instructor can facilitate ride sharing if needed. Daily travel to-and-from the site will be provided. The program costs $995 plus tuition. Apply through Study USA at http://www.outreach.olemiss.edu/study_usa/starkville_18.html.